India is the land of mystery, myth & miracles. We believe or not; there are some ancient temples located in our country, where both science and nature stand down. 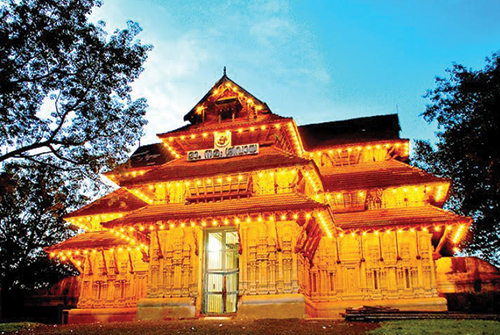 The stories, legends & myths associated with those temples are hard to believe for a modernized realistic person. But what about the incredible facts we see with open eyes!! 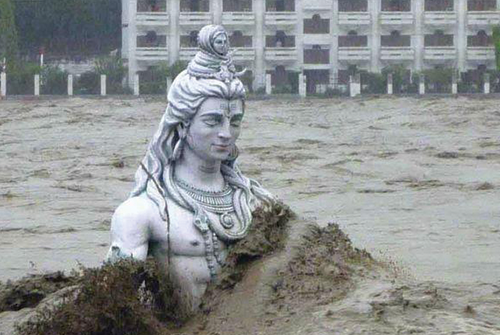 The Nandi statue and the other idols in the temple were intact even after the destructive flood in 2013. The pilgrims inside the temple were also survived unharmed. But there was a massive destruction all around & thousands lost their life due to the demonic flood. Here nature put head down and science has no answer about this miracle; how is this possible?? In this temple, there are 7 naturally Jyotis (flames) that constantly burn. 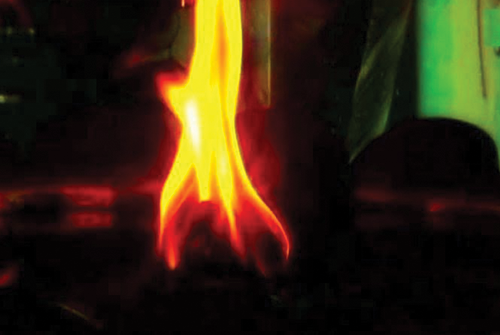 Despite many scientific types of research, the reason behind these natural flames couldn’t be found out. The flame is burning continuously since the first date of its known history. People says it could be a reserve of natural gas but there is no scientific proof of this. The government of India and many other Geologists has also tried to find the source; no one is able to find the source of this eternal flame. The famous Mango tree of Ekambareshwarar Shiva temple in Kanchipuram which is more than 3500 years old and till today yields 4 varieties of mangoes. This holy mango tree having four branches each dedicated to the four Vedas. The Deity derives its name from the Mango tree from the words Eka-Amra-Natha, meaning the Lord of the Mango tree. This is still mysterious and science has no clue about it. 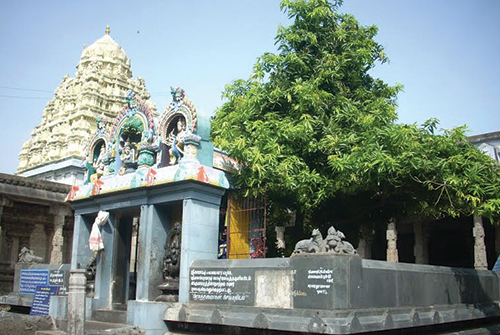 Vedagiriswarar temple is popularly known as Kazhugu koil (Eagle temple). The major attraction of this temple is two sacred eagles appearing over the temple. People believed that they are the guardian of the deity of this ancient temple. The most surprising fact is that the eagles are vegetarian. They come down to a rock where sweet rice is offered as food by the priest. 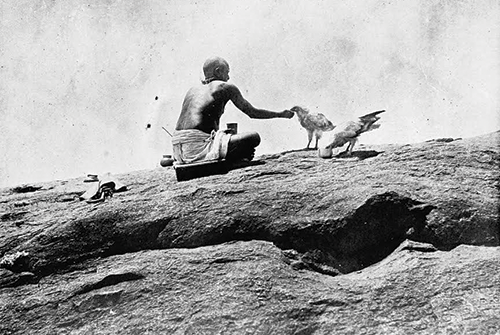 If we didn’t belief in the legends behind it as that two sages turn into eagles; then how we demonstrate that the two eagles go beyond the rules of nature. An ancient Hindu temple dedicated to lord Shiva on the Shivagange hills in Bengaluru, Karnataka. According to science; it is not possible to convert ghee to butter. But in this sacred temple, this is possible. When the priest applies Ghee offered by the devotees on the Shiva Lingam; it turns into butter surprisingly. Science & technology has no clue on this action. 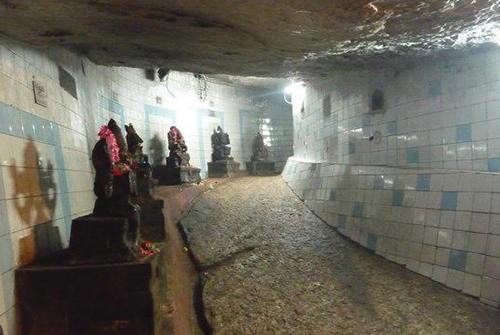 One of the Oldest Shivalingam of our country has appeared in this temple. The uniqueness of this Shiva Temple is its large Shivlingam; which is covered by the ghee given by the devotees over the centuries and it is never removed. Now it is around three meters thick from the original Shivalingam. The mysterious part is that “the ghee covered with Shivalingam never melts down. Do you belief or not; even in the hottest tropical weather of Kerala and thousands of burning oil lamps surrounding it; the ghee does not melt. It is also never decomposed even though the ghee is gathered from several hundred years. The mystery behind this is still unknown and also unsolved by science. Stambheshwar Mahadev Temple is located within the Bay of Khambhat in the Arabian Sea, Vadodara, Gujarat. 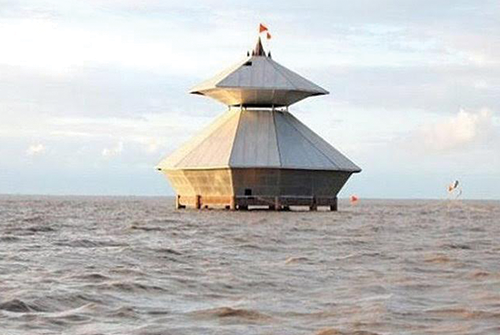 This temple can only be visited during the low tide hours. It remains mostly submerged during high tide hours. Surprisingly the temple is never damaged by the water; even though it is remaining in water many times from many years. This is not the end; there are many temples in India with thousands of unsolved and unbelievable mystery surrounding them. Like the bleeding Goddess Kamakhya Devi temple where the goddess bleeds for days. Rats of Karni Mata Temple; Oldest Sun temple of India, stone figure of Garuda in Kal Garuda temple near Kumbakonam, TamilNadu where the idol of lord increases its weight as it is carried out of the temple for the procession and much more. As we all know a divine heart is a real temple & truth is God. Still being part of the world’s largest religious and cultural community; every person should have complete knowledge of his/her culture and legends behind it. So find out some time from your busiest life schedule and visit “rgyan.com” to quest for your truth in a spiritual way. Previous articleThe Mythological purview of Resolutions!! Guru And The Powers He Has!